You are currently browsing the tag archive for the ‘payment reform’ tag. The final NCQA PCMH joint principle encourages appropriate payment that “recognizes the added value provided to patients who have a patient-centered medical home.” In addition to the PCMH, Accountable Care Organizations can provide physicians with a payment structure that is financially rewarding, as well as efficient and unburdensome. Maryland HB 435 (enacted May 20, 2010) – requires health insurers to pay a bonus to PCPs for services provided after office hours. Virginia SB 675 (enacted April 7, 2010)– requires health insurers to cover telemedicine services. A recent Health Affairs article finds that on a national scale, a single transparent set of payment rules for multiple payers, a single claim form, and standard rules of submission would translate into $7 billion of savings annually for physician and clinical services. Four hours of professional time per physician and five hours of staff time could be saved each week. Colorado recently enacted several bills (HB 1004, HB 1330, and HB 1332) to begin standardizing claims. West Virginia enacted similar legislation (SB 665) on March 11, 2010. While providers must submit claims within a certain period to be reimbursed, insurers often deny claims or claim to never receive them, placing the burden on physicians to monitor and resubmit paperwork. 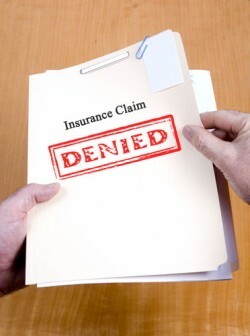 Connecticut enacted HB 5303 (enacted May 5, 2010) – requires all managed care organizations to report claims denial data, which is posted on the state’s Department of Insurance website. Vermont HB 444 (enacted June 2, 2009) – requires payers, within 30 days of receiving a claim, to send payment or to provide notice of why the claim is contested or denied. While the federal health reform bill and recent state legislation provide opportunities to test different payment models, testing the feasibility of varying billing requirements is also needed to improve the primary care workforce.